The ways of some techniques to convert Jews to Christianity and in particular Seventh-day Adventism’s (SDA) attempts, go beyond the extraordinary in the publication of a story found on a website. 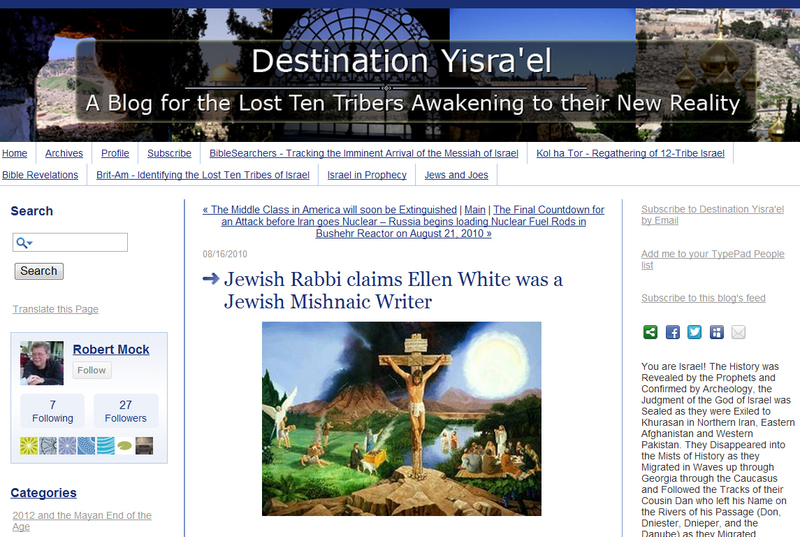 The story and the website extol the virtues of Ellen G White, the prophetess of Adventism, with a claim that Ellen G White was a Jewish Mishnaic writer! 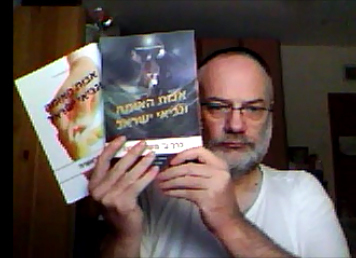 The Mishnah in actual fact was completed in the second century of the Common Era (CE) and so a gap of approximately 1700 years exists between the writer/ editor/ redactor of the Mishnah and the modern day writer of the new Mishnaic style know as the book Patriarchs and Prophets written by non other than good old Ellen G White herself. In the story on the website, an amazing account shows how at least two Rabbis came to become believers in Jesus, only because they identified the unique Mishnaic style found in Patriarchs and Prophets no less. At this point any Jew after picking themselves off the floor at such a startling revelation, will no doubt get themselves a copy of the book and admit those Adventists had got it right all along! Whilst there may not have been English translations of the Mishnah (Talmud includes Mishnah) around the time of EGW, the books of Alfred Edersheim where. Alfred Edersheim (March 7, 1825 – March 16, 1889) was a Jewish convert to Christianity and a Biblical scholar known especially for his book The Life and Times of Jesus the Messiah (1883). Edersheim was born in Vienna to Jewish parents of culture and wealth. English was spoken in their home, and he became fluent in English at an early age. He was educated at a local gymnasium and also in the Talmud and Torah at a Hebrew school, and in 1841 he entered the University of Vienna. However, with respect to the story on the web page, one of the Rabbis is dead and the other Rabbi ‘Ben’ no doubt having to preserve his identity, now gives an airtight case for Adventist claims to be non verifiable. How convenient! The Jewish Adventists have their prophetess and an amazing story to use to ensnare the unaware, even rabbis apparently!? With the above Edersheim context in mind, accusations with respect modern day definitions of plagiarism by Ellen G White and her ‘borrowing’ of other sources without acknowledgenent, should not cloud the real and more plausible possibility that her apparent ‘miraculous’ Mishnaic style was borrowed from elsewhere! Even worse however, is the deceptive nature of such a venture, especially that one of the first books translated into Hebrew by Jewish Adventists for evangelism here in Israel was EGW’s book Patriarchs and Prophets. No doubt the story on the website goes along with ‘sale’ of the book too. Shabbat Shalom / Gut Shabbos <<< Well, our friendly Messys, do you agree with the Rabbi?